The Voice UK final: Was Molly Hocking or Deana the winner? The Voice UK results: Did Molly Hocking, Jimmy Balito make finale? Who made it to the finale of The Voice UK season 8? We discuss the performances and more within this piece. Tonight, The Voice UK is bringing you the most jam-packed show of the whole season — the Knockout Rounds! Check out all of the remaining battles on The Voice UK, including Sarah Tucker, Nicole Dennis, and Luke Swatman. In our The Voice UK review, we share our thoughts on Jimmy Balito, Connie Lamb, and more from the Battle Rounds! Check out the final blind auditions for The Voice UK this season, including Ayanam Udoma and many others! The Voice UK review: Deana, Gisela Green, Georgia Bray, other blind auditions! Check out our take on tonight’s The Voice UK blind auditions, including Nyema Kalfon and many more throughout! 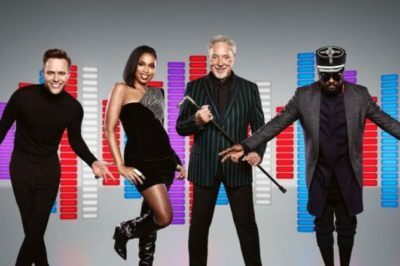 Tonight, there is a new episode of The Voice UK airing on ITV that is all about the blind auditions once more! Are you ready for another edition of The Voice UK? We’re back with another discussion of blind auditions, and we’re hoping for some standouts! Are you ready for another installment of The Voice UK? Well, within this article, we’ll be discussing all of the contestants once more!